The SMSU Volleyball team started off their season with a win, and that winning streak continued for sixteen more games. Being undefeated, their national rank quickly rose to the number one position. “I’m actually surprised where we are at record wise. Going into this season, I did not know where we would be at record wise after the first two weekends before conference play because we played in two difficult tournaments,” Head Coach Terry Culhane said. 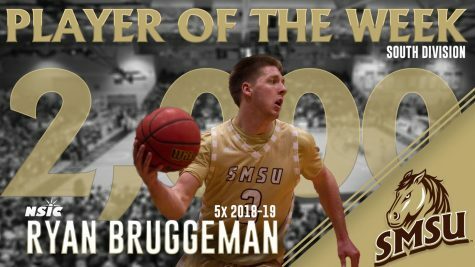 Key players that helped to achieve that record are junior Taylor Reiss, and senior Megan Larson, who were each named NSIC player of the week on October 2. Other notable players are sophomore Erin Corrigan, junior Dani Potter, senior Brooke Borchardt, junior Kaylee Burmeister, and freshman Sarina Smith. On Oct. 7, the team played against the Northern State Wolves. The Wolves snuck up on the Mustangs, securing set one as a win with a 25-22 score, and set two with a 25-23 score. The Mustangs battled back in set three and won that 25-18, but lost the fourth set 25-23, giving the Wolves the match win. When the Wolves won the match, it ended both the second longest winning streak and the best win streak to start a season in program history. While this was the first loss for the Mustangs, it has shown to be their only one so far. The loss did bump them down to the number two position, where they are currently still seated (as of Oct. 15). Although they lost their number one position, the Mustangs have been working hard to regain it. 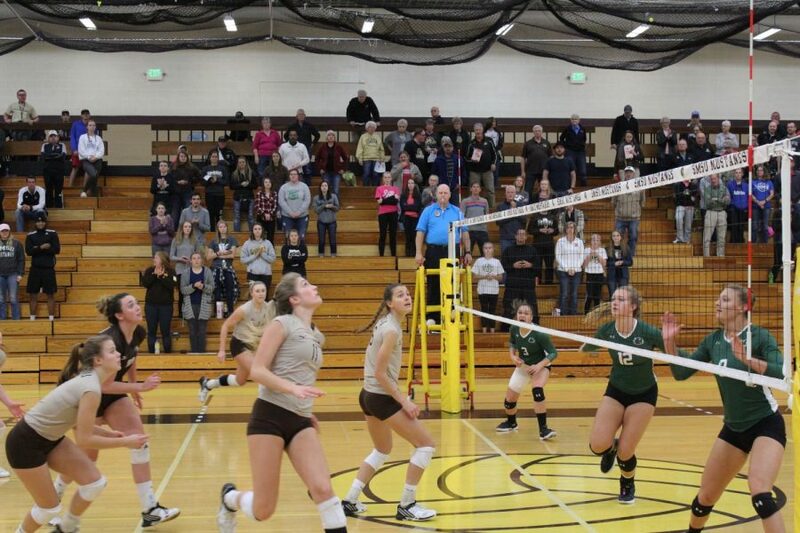 On Friday Oct. 13, SMSU started off strong with a 14-4 lead, and kept a large lead through the whole set. They won the first set 25-7, the second 25-13, and the third 25-12. Reiss led in kills with 15, but Smith was close behind her with 13. Smith has been a large asset to the team this year, already earning 88 kills total. Smith and the rest of the team did as she said, and started strong on Saturday night. They won the first set 25-14, the second 25-18, and the third 25-15. 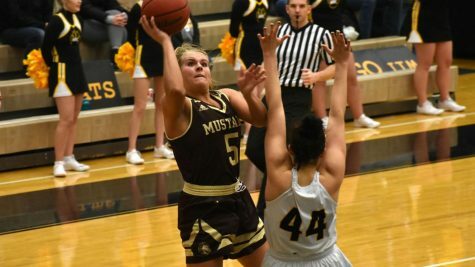 The Mustangs will work to keep with Smith’s words about starting strong this week, and meet up with Winona on Oct. 20 to try and get their number one position back.